Congratulations Erin on Your Athena Award Nomination! Congratulations again to Erin on her nomination for the 2018 Athena Leadership Award! 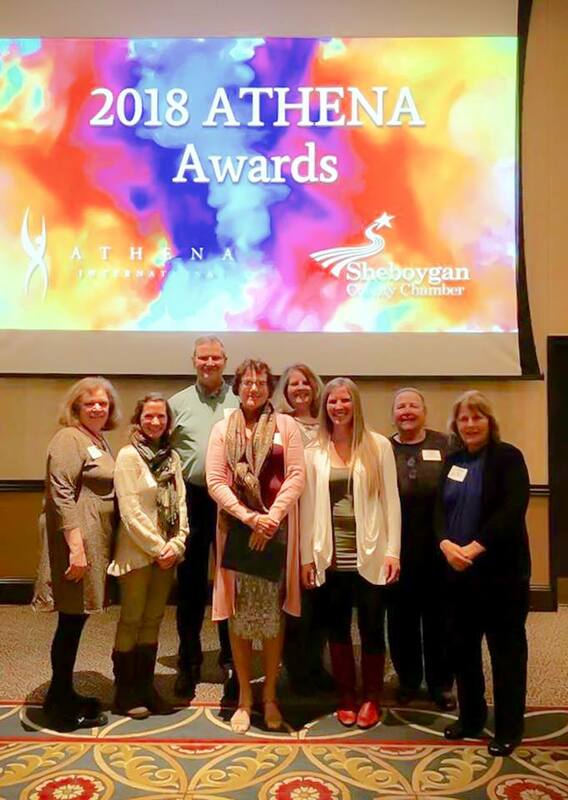 Erin was honored today with fellow nominees at a special luncheon at the Blue Harbor Resort in Sheboygan and had husband Johnand some friends from AGES along to celebrate with! The ATHENA Leadership Award celebrates exemplary leadership and fulfills ATHENA International's mission to support, develop and honor women leaders, inspire women to achieve their full potential, and create balance in leadership worldwide. The award honors individuals who strive toward the highest levels of personal and professional accomplishment, excel in their chosen field, devote time and energy to their community in a meaningful way, and forge paths of leadership for other women to follow. Erin does all those things and more daily at AGES and we are all so very proud of her!!! Older PostGiving Tuesday is Just Around the Corner!